Parma host Inter in a classic Serie A clash on Saturday, as both teams look to return to winning ways. Inter's shock 1-0 loss to Bologna highlighted their faults as a team, and showed their over-reliance on Argentinian star ​Mauro Icardi. Meanwhile, fan favourites Parma shocked the league by holding a dominant Juventus side to an incredible 3-3 draw, with the familiar face of Gervinho scoring two in a wonderful game. Can Inter begin to turn their poor form around, or will the rising confidence of Parma push the team to even further lows? Check out 90min's preview of the match below. 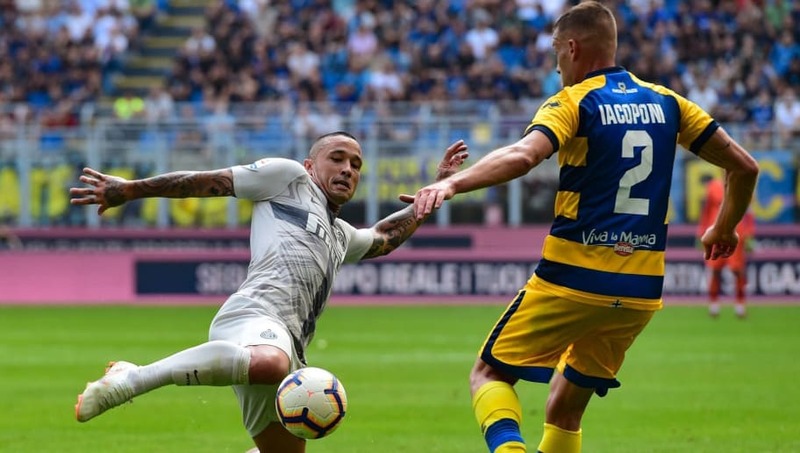 Parma are only missing midfielder Alberto Grassi due to a cruciate ligament rupture, but otherwise are at full strength. ​Inter are missing a few important players, such as right-back Sime Vrsaljko, who is out after undergoing knee surgery, and will miss the rest of the season. Furthermore, they are missing Matteo Politano due to suspension and veteran Spanish midfielder Borja Valero due to an unknown injury. In the 22 games between the sides since 2005, Inter have come out on top 11 times, drawn five, and Parma have taken the victory six times. Their recent meeting this season resulted in a close 1-0 win for Parma when they visited the San Siro, something which will worry Inter fans. However, in their entire history of playing each other, Parma have only ever won both games in a season over Inter once, back in their glory days in the 1998/99 season, a record that Luciano Spalletti will hope to avoid repeating this season. Much has been said about Inter's recent form, with many complaining over the team's poor results and style of play, along with the way that Spalletti is managing the side. Furthermore, key man Icardi is experiencing a slump in form, and without his clinical finishing, Inter are finding themselves in a sticky situation. Meanwhile, Parma are in a period of inconsistent form. Their incredible draw against a strong ​Juventus side showed some great football and a clear game plan, but their recent games have been up and down, with a win usually followed by a loss. It's currently not looking hopeful for Spalletti and his men. Their last four games have shown poor football that at times was painful to watch, and the team is not looking particularly motivated. Furthermore, losses against Torino, Lazio and Bologna on the bounce may have damaged the team's confidence to a point that Spalletti might not be able to fix. However, Parma are an incredibly inconsistent side, and most likely the Parma that drew Juventus 3-3 last week will not show up against Inter. However, if they can channel that performance into Saturday's game, then they may just come away with a positive result.